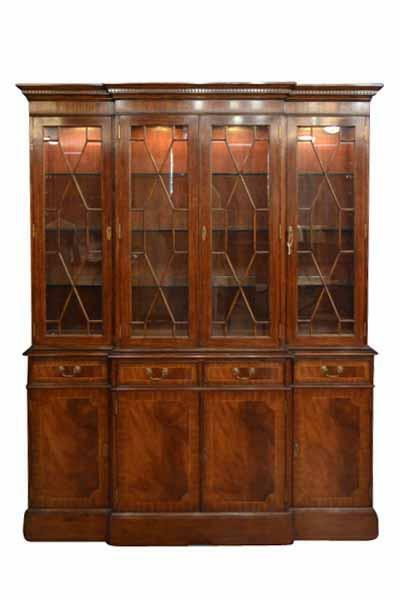 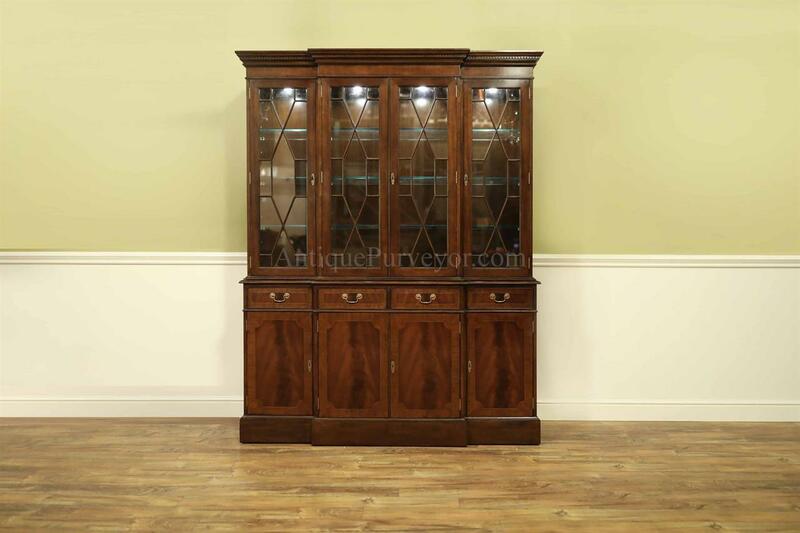 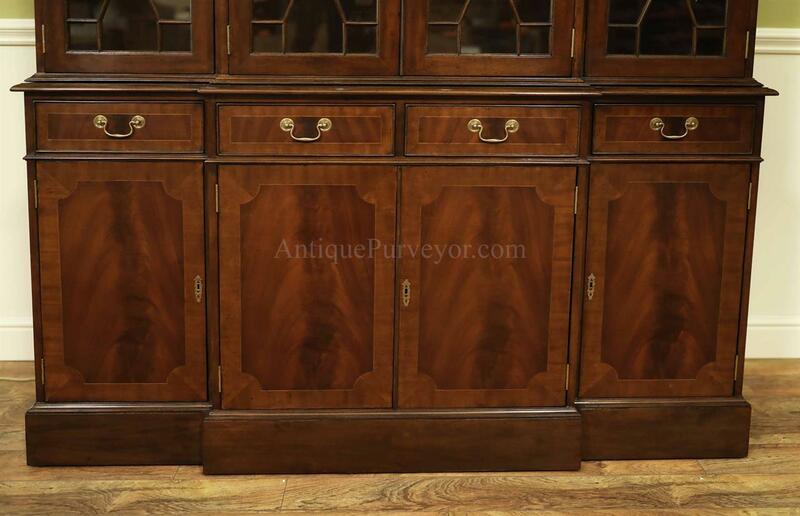 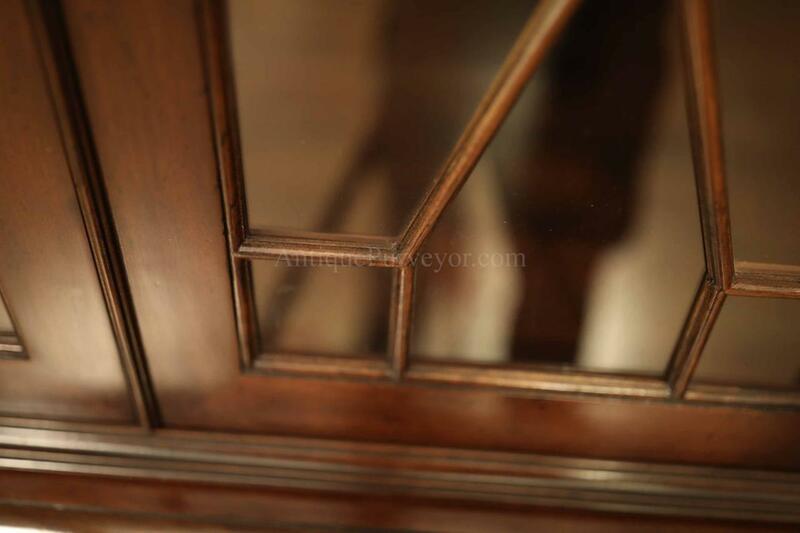 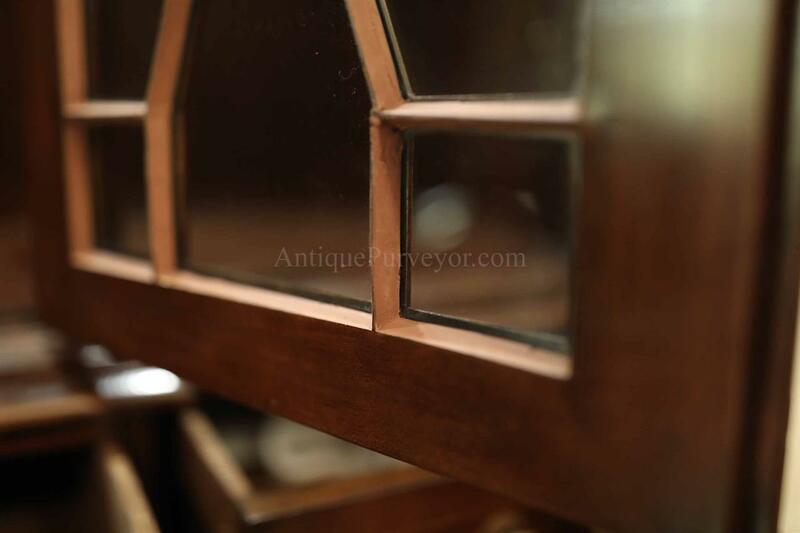 Description: English china cabinet with 4 doors. 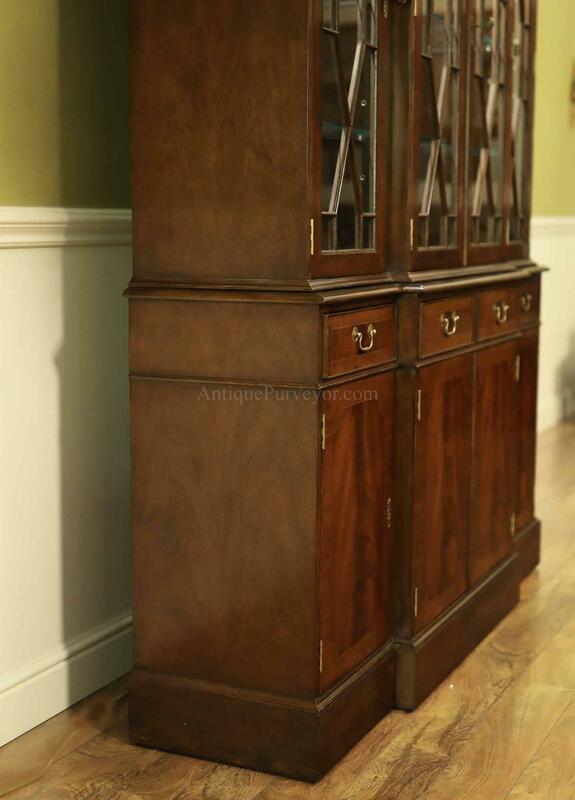 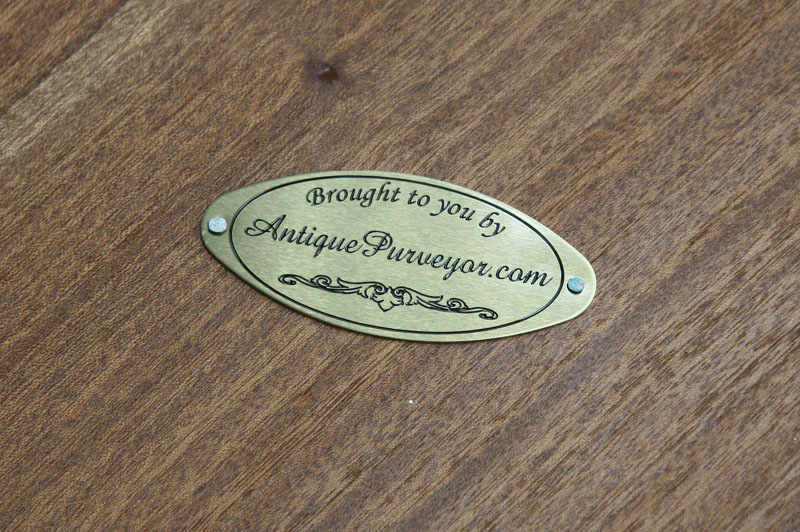 Flame mahogany door panels and drawers. 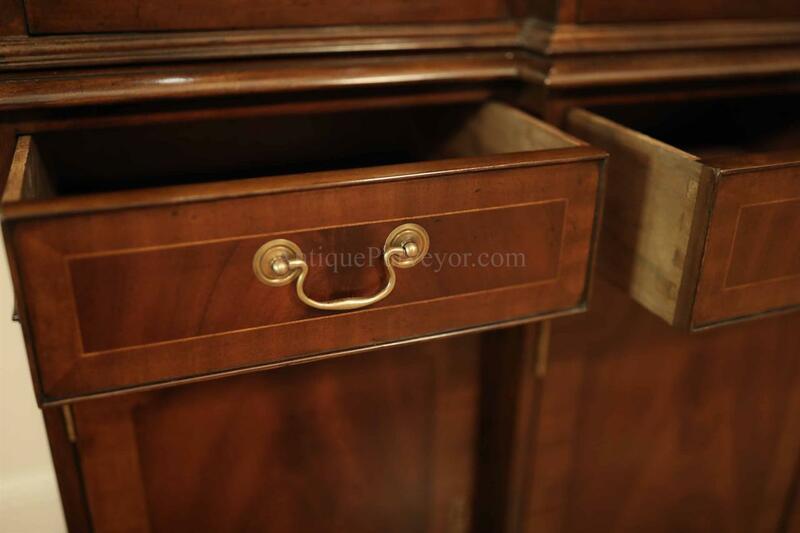 Working keys included. 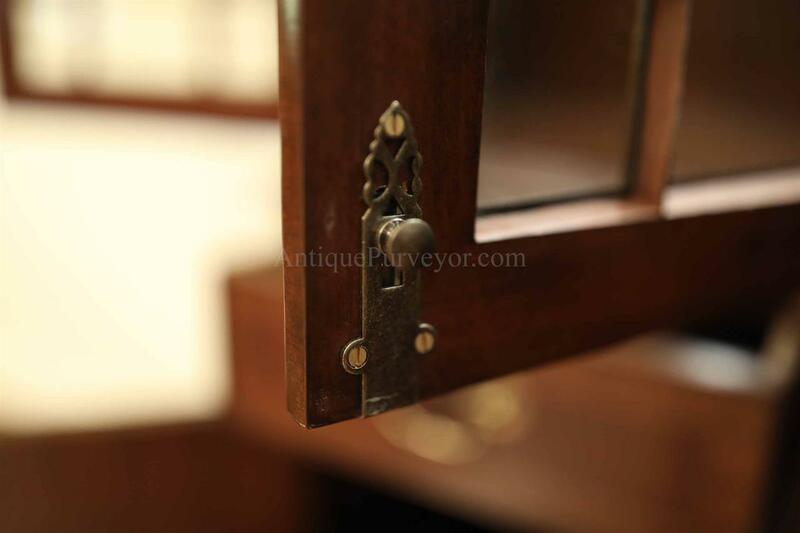 Cabinet has traditional bracket feet. 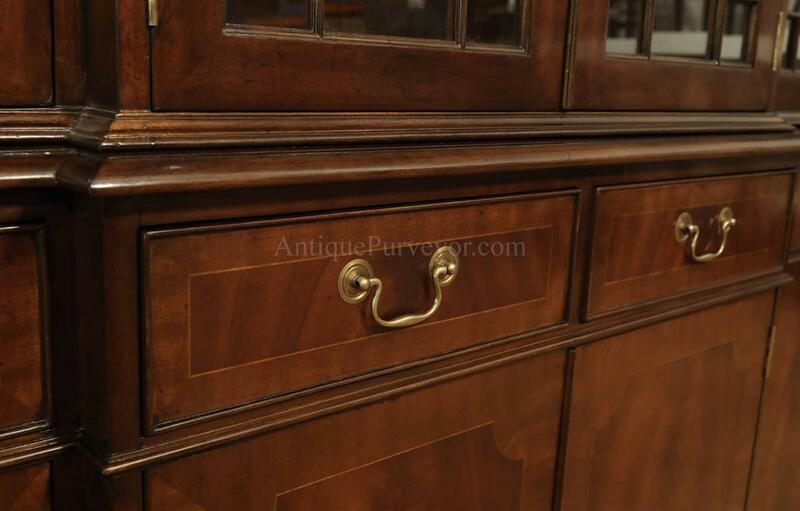 Super clean cabinet is not brand new, but very polished. 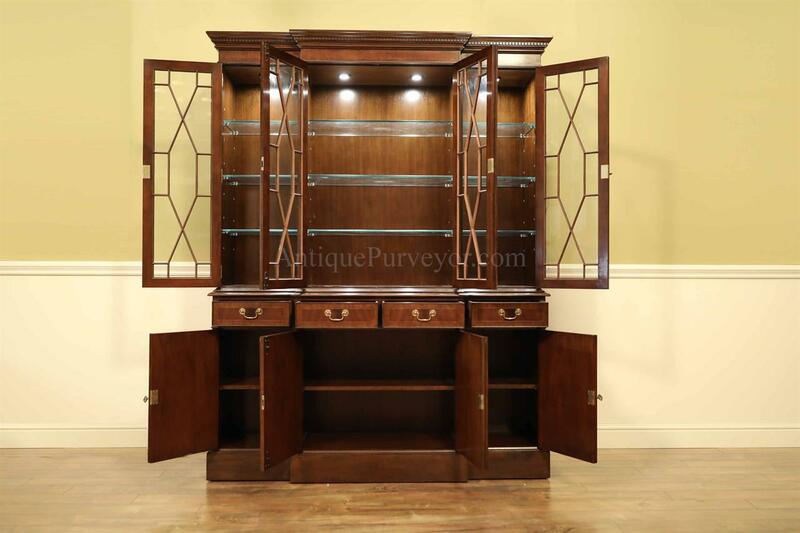 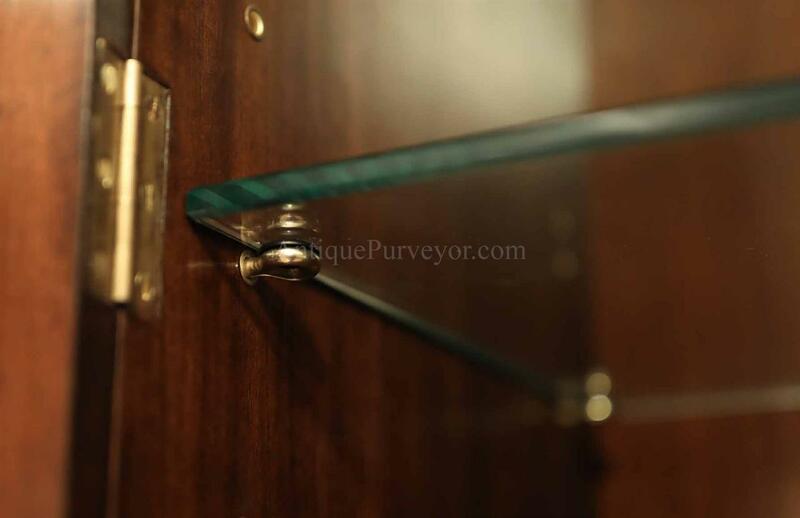 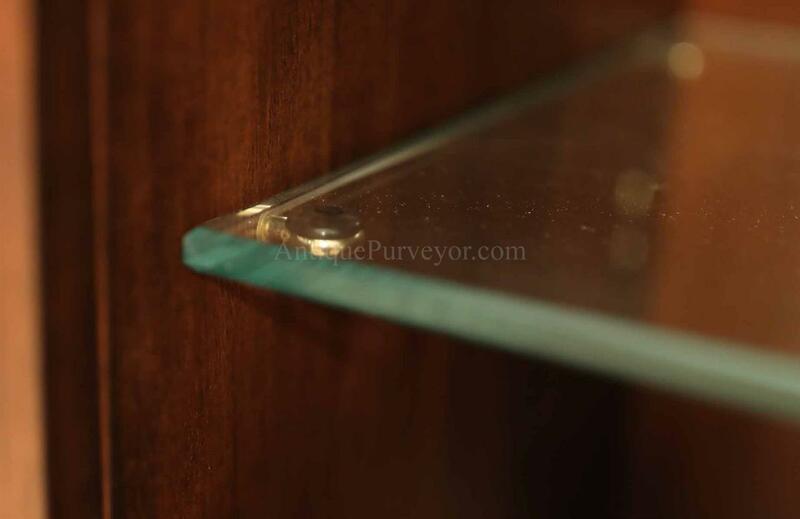 Cabinet has glass shelves on top, which are adjustable and wood shelves in the bottom half of the cabinet.